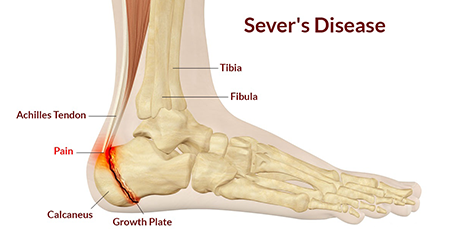 Sever’s Disease occurs in children when the growth plate (which is the growing part of the heel) is injured. The foot is one of the first body parts to grow to full size. This usually occurs in early puberty. During this time, bones often grow faster than muscles and tendons. As a result, muscles and tendons become tight. The heel area is less flexible. During weight-bearing activity (activity performed while standing), the tight heel tendons may put too much pressure at the back of the heel (where the Achilles tendon attaches). 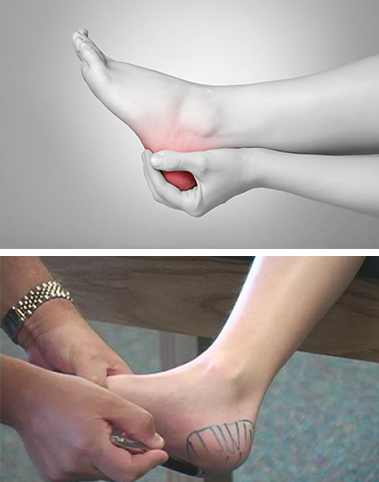 This can injure the heel and cause Sever’s Disease.